Tobi thought he was tackling the opposing team but scored an own goal and earned a strike. After having witnessed a disqualification and the awarding of multiple strikes, Tobi should have known better than to bend any more rules. After all, what Biggie says, goes. From the very beginning, the Housemates displayed a total disregard for Biggie‘s rules. This could be attributed to the fact there were too many egos to around, with each Housemate holding firmly to their own ambitions and almost completely unwilling to accommodate the competition. As a result, Biggie became stringently firm and rid the House of any room for negotiation when it came to his rules. Tobi’s joy for being allowed to have a diary session after having been excluded due of not heeding to Biggie’s diary room summon was short lived when a clip of him talking to Lolu and Anto was played back for the entire House to see. Although the conversation was so vague that it was open for interpretation, especially because Anto and Lolu threw the conspiracy theory out the window; it was crystal clear that there was more to it than met the eye. However, Biggie did sum it up as a conspiracy and that plus the ignored summon equated to a strike, bringing Tobi that much closer to the 'Exit Only' doors. With him now sitting on two strikes, the season’s strike tally had been brought to a total of 7. 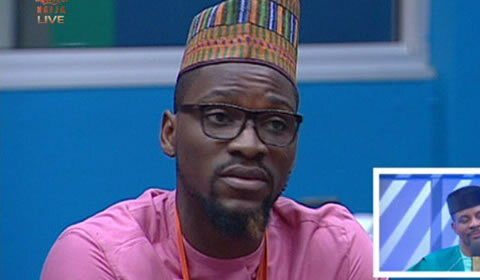 Tobi’s HoH veteran status should have been enough to have him uphold the rules governing the Housemates’ co-existence and their general behaviour towards the man of the House, but it seems like his experience has proven futile because we went right ahead and broke the rules that of course earned him a big fat strike. It has become quite unclear what shape or form his game will take going forward as this might have tarnished his ‘friendly’ image in the House and could potentially throw him onto the Housemates’ blacklist. ; not to mention his on again off again ‘situationship’ with Cee-C who clearly feels betrayed by him. It the stakes were high before, consider them twice as high now.